View our large selection of hand carved and hand painted Hindu wood sculpture from all over India. Our wood carvings range from the coloration of south Indian temples to natural wood colors. 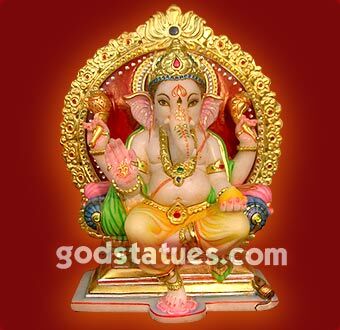 God Statues Hand carved large & small Wooden Statues and Wood Panels of Hindu Deities like Ganpati, Hauman, Shiva, Rama, Krishna, Buddha and other Gods and Goddesses, most of the sculptures are beautifully chiseled by master craftsmen of Southern India. 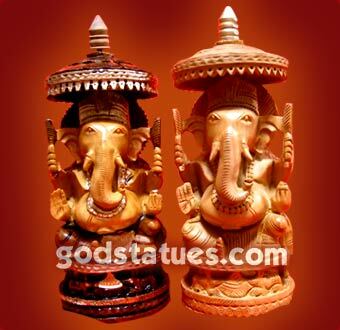 These Wooden God Statues are available in various sizes and specifications.